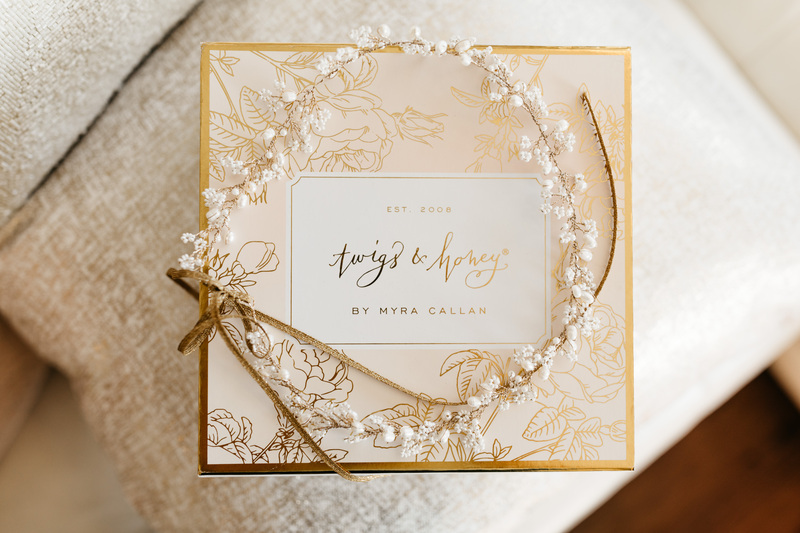 Founded by designer Myra Callan in 2008, Twigs & Honey uses the finest laces, silk floral accents, Swarovski crystals, and vintage pieces to create bohemian inspired bridal accessories. From headpieces to sashes, all Twigs & Honey pieces are hand-crafted in Oregon. Twigs & Honey pieces have been worn by Elle Fanning, Nicki Minaj, and seen on the Bachelorette franchise. Voted "Best Indie Designer" in 2014, Twigs & Honey accessories have quickly become a respected brand within the bridal industry.